It’s true that Prep teachers just love to learn. In 2015, Prep teachers became students once more, taking on a surprising array of educational opportunities. 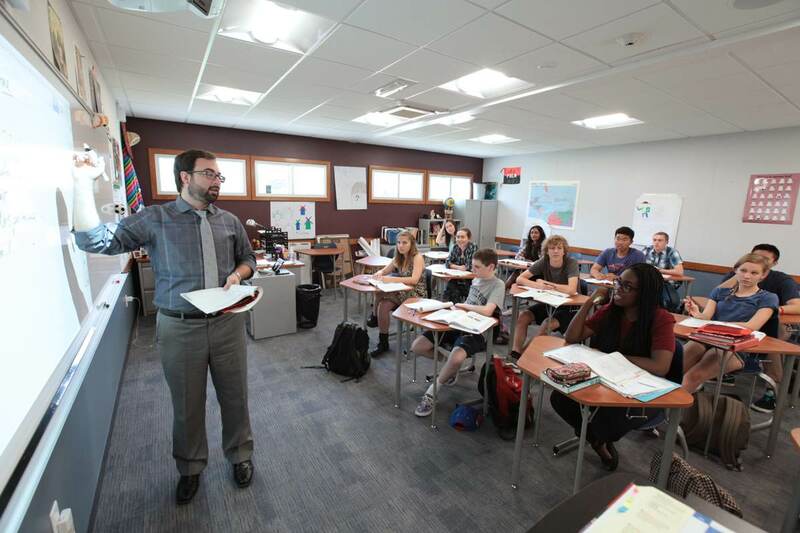 Prep’s professional development program offers faculty and staff the opportunity to study any topic that will advance their teaching or help them understand their subject matter more deeply. The intentionally broad standard allows teachers to dig deeply, even earning a degree if they desire. Alternatively, faculty can study topics in smaller spells, attend conferences or work independently on a self-constructed curriculum. With few limitations, each year faculty take advantage of a wide range of opportunities. 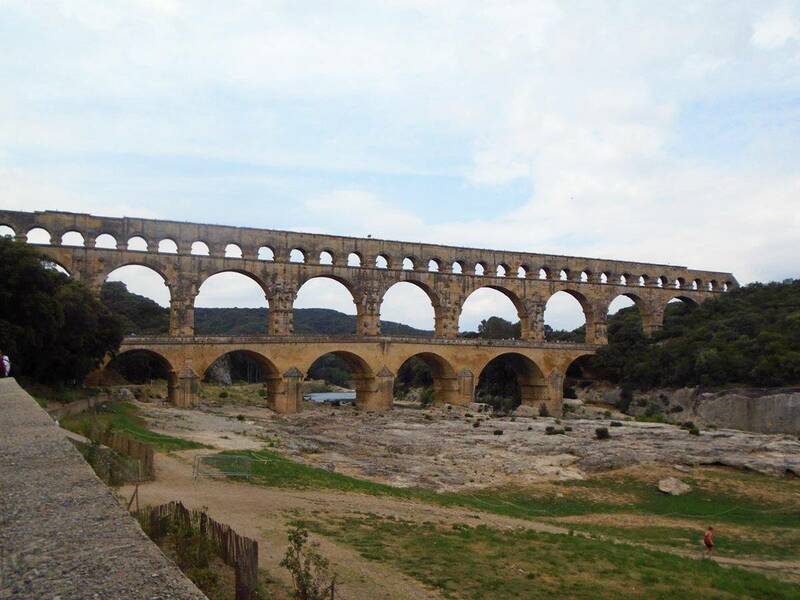 “It’s astounding to see these sites in person; history really comes alive." Latin teacher Toby Wagstaff took another route to Europe. 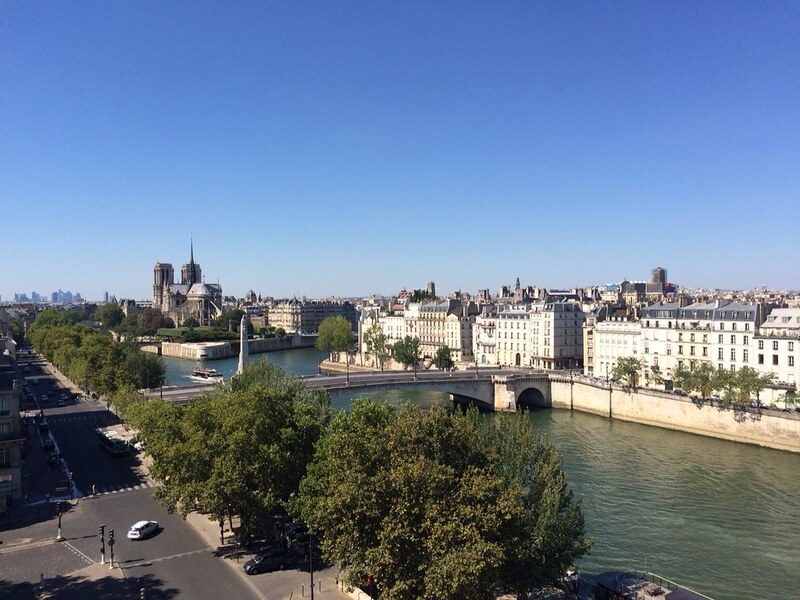 After he learned he would be teaching a section of French in 2015-16, he tapped professional development funds to immerse himself in the language and culture over the summer, taking a three-week intensive course at the Sorbonne. He explored the capital in depth with a professor of art history, who wove political history into visits to monuments and museums. Sometimes a deep dive can begin with a detail. AP US History teachers Christine Madsen and Ingrid Herskind were inspired by a conference they attended on the American West. Sponsored by the Gene Autry Museum and the Huntington Library, the conference featured a section on the history of objects. Herskind was particularly fascinated by a flag that the wife of John C. Fremont made. He carried on western explorations in 1840-41. "Now in the classroom it’s paying off. My AP students’ essays are really impressive." Collaboration often is an important part of the professional development experience. AP teachers attended summer conferences to learn about how to modify their curriculum in anticipation of changing assessments. During the conference, European history teachers Kurt Hofer ’04 and Josh Perlman bounced around ideas with each other and with faculty all over the country, developing new assignments through their collaboration. World Languages Department Chair Fabian Bejarano attended an AP Spanish Literature workshop while Manuel Nuñez attended an AP Spanish Language workshop. “There were some works on the syllabus I had never read, so we discussed them together. Now in the classroom it’s paying off. My AP students’ essays are really impressive,” says Bejarano. AJ Yates applied techniques from a clinic in his own summer soccer clinic. Science teacher Heather Clark was accepted to a workshop at the prestigious Klingenstein Summer Institute. She learned about intentionality in the classroom—how teachers’ choices connect to the learning objectives of students. She returned to campus and created an affinity group in which faculty observe each others’ classes. The goal is to learn how colleagues teach and students absorb information. Mathematics teacher Todd Frost ’89 attended a summer conference of the National Association of Sports Officials, honing skills for evaluating people in a way that makes them feel good, accentuating the positive and showing a pathway to improvement. AJ Yates attended a soccer coaching clinic with University of North Carolina coach Anson Dorrance and applied techniques, guiding principles and activities when he led his own soccer camp just days after his return. Yates says that one of the biggest highlights of the clinic was watching a Women’s World Cup game with Dorrance and his staff, who had coached many of the players, and hearing their color commentary. Julie Mejia enrolled in a coaches’ softball clinic just prior to the start of the 2015 softball season and picked up some tips that helped her team make the playoffs for the first time since 2011. 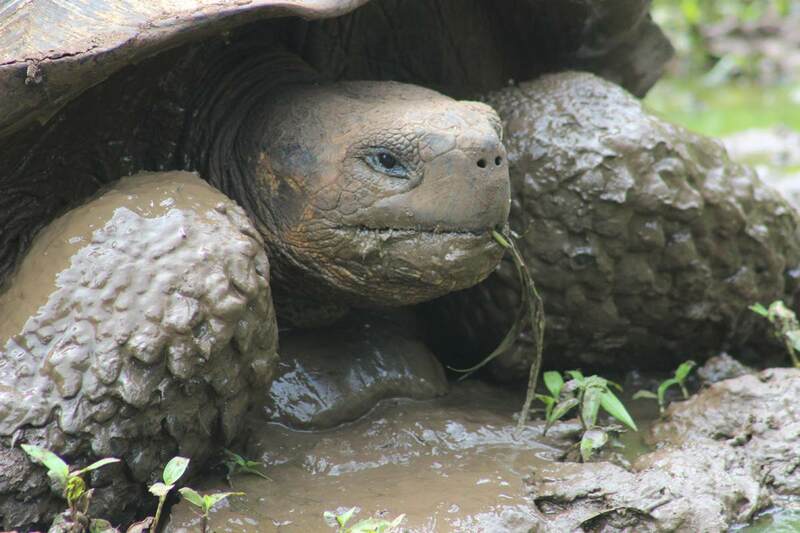 Joe Maggio's shot of a wild tortoise in the Galapagos. Joe Maggio and Rob McLinn, Prep’s biology teachers, took a summer trip to the Galapagos to study evolution, and ended up discussing sustainability late into the nights. They’ve been colleagues for 30 years, and shared a room on long-ago ski trips, but this trip went deep—and not only because McLinn went scuba diving. They learned about the natural history of the islands and the seeds of Darwin’s thinking on evolution. They also studied current challenges to the islands, from the encroachment of invasive species to over-development and climate change. Maggio and McLinn brought these discussions—and hundreds of photos—to their respective classrooms, as well as to a lively faculty meeting in the fall. They even created presentations about Ecuador and the Galapagos for Nuñez’s Spanish 3 classes. Librarian Susan Hodge attended a summer conference, where she played the role of student, taking classes geared for middle and high school students. She picked up loads of ideas to share with her faculty colleagues. Additionally, some tools to help students alleviate stress—crayons and coloring books—showed up in the library this fall. Visual Arts Department Chair Tim Bradley and photography teacher Ricardo Rodriguez attended a conference in New Orleans geared towards college-level faculty. The conference led Rodriguez to bring new themes to his Digital Video class, while Bradley was drafted to be on the national peer review committee for the 2016 conference. Drawing teacher Melissa Manfull joined Heather Clark, Josh Perlman and Science Department Chair Laura Kaufman at a conference on encouraging “Deep Thinking” (with author Ron Ritchart, whose book Creating Cultures of Thinking was the topic of Prep’s faculty summer reading group). The faculty learned how to encourage participation, communication and analysis in the classroom. Kaufman was already a proponent of deep thinking. 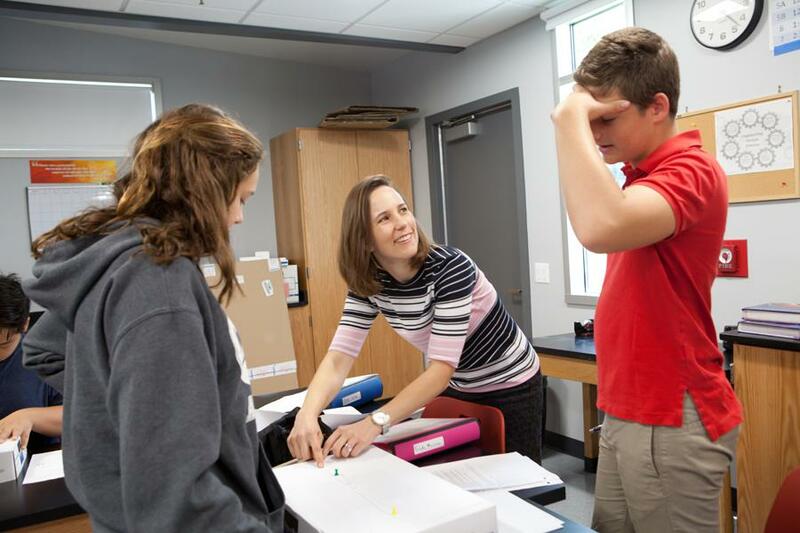 Her eighth grade science students often explore concepts together, feeling their way as a group toward a hypothesis or an experimental design. Sarah Cooper guides students through a research assignment. 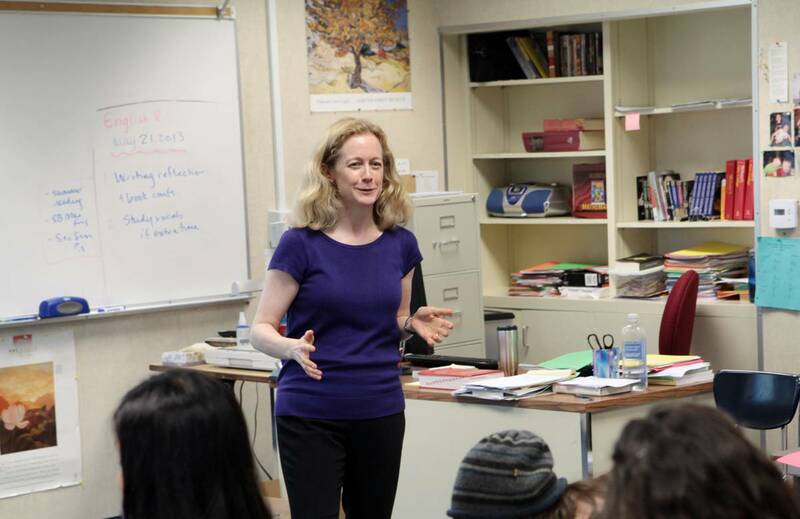 French teacher Jennifer Murphy took a beginning Arabic class at Pasadena City College. Dean of Studies Sarah Cooper is pursuing a master’s degree in history from the Gilder Lehrman Institute of American History. Like Murphy, Cooper sees an extra benefit to her academic endeavors. 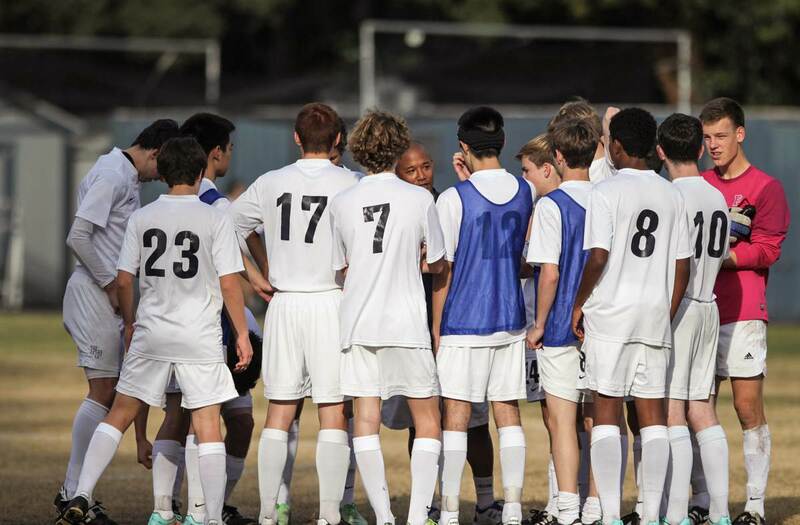 “I gain empathy for my students, their intellectual curiosity and their struggles. Writing essays reminds me how challenging it can be to come up with a good thesis. Is this worth saying? Is it original enough? And I have to thank the librarians for introducing me and my students to Noodletools! I use it all the time,” Cooper says. » Read Sarah Cooper's blog about her experience reading primary sources.